Self love has been an important step in our healing and I enjoy making up random, but useful exercises that have been beneficial for my healing. This is a very easy activity to do and one of my favorites. Pick an object, one that you will see multiple times in a day. Each time you see that object you say something kind about yourself. You can either say it out loud, in your mind, or write it down. It might feel awkward and strange at first to say kind things about yourself, but the more and more you do it, the more you will find peace within your heart and mind. If I am feeling defeated and catch my mind going into the direction of negative self talk, then I like to do this exercise to get me back on the right path. 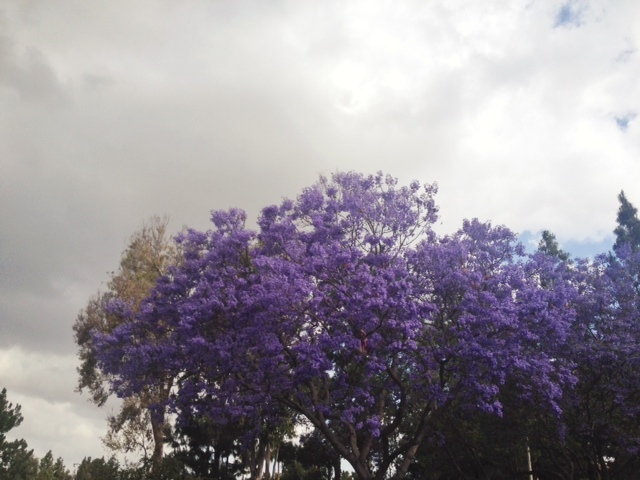 Last week I did this exercise with the lovely jacaranda trees that are blooming all around California. I love their purple flowers and the way they fall off the trees and flutter to the ground in the breeze. Start simple and keep an open mind. As you get more comfortable with these exercises you will find yourself happy, self-motivated, and you will be able to share your gift of love with not only those around you, but with yourself as well.